Tuesday, October 30th, 2018 at 12:55pm. Following Moonfest, Clematis will be completing final touches before a ribbon-cutting ceremony after the first phase of the Clematis Streetscape Project. 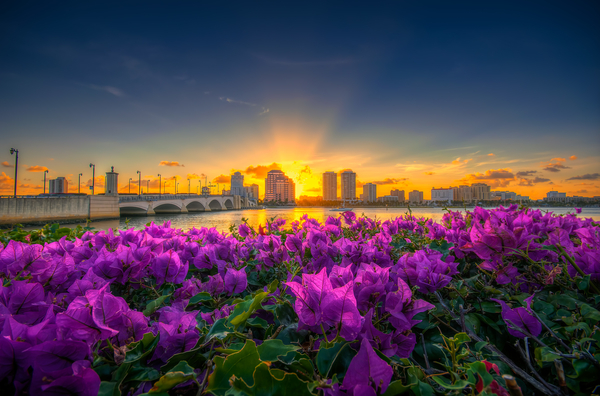 The Clematis Streetscape Project is an initiative to transform the popular downtown West Palm Beach area into a pedestrian-friendly city. On Thursday, November 1st, the city will host a ribbon-cutting ceremony at 5 pm on the corner of Clematis Street and Dixie Highway. Following the unveiling, a family-friendly celebration will ensue featuring live music and festivities. Local businesses will be offering specials, giveaways, tastings, and other activities, then the party will move to Centennial Fountain and the Great Lawn at 6 pm for Clematis by Night.